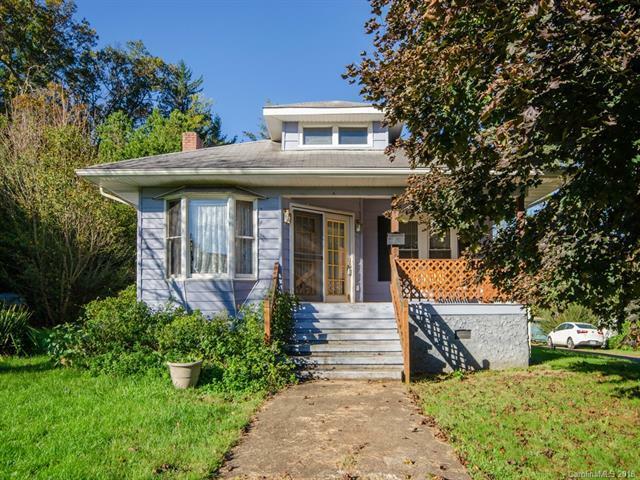 Cute bungalow conveniently located in Fiberville in Canton. Large living room, huge walk in shower, lovely built-ins in kitchen, nice covered back deck. Enjoy the large yard complete with apple tree. Basement offers laundry area and tons of storage. Triple car detached garage - 2 bays convey with this house the third belongs to neighbor. Recorded easement and maintenance agreement for garage. Easy access to I-40 and Asheville.